Noel Maye, CEO, Financial Planning Standards Boards (FPSB), USA, talks to Money Today on the importance of financial planning and how to choose the right financial planner. Q. How have things changed in financial planning in India since your last visit in 2012? A. We are still growing, last year we touched the 150,000 mark and that was a significant number. We now have presence in 25 countries. We have averaged growth at 6% over the last 10 years, hence the number of CFPs have doubled in the last 10-12 years. Our observation is that all around the world the same set of motivations are driving people to seek financial planning. The notion of more complexity in financial services, people living longer, people being responsible for their aging parents and to secure the future of their children. There is also a shift from being dependent on government and employers for their retirement to owning responsibility as an individual. Those things are pretty consistent around the world and that is pushing the need for financial planners and CFP certification. When I was last in India, there was a push from shifting people from being savers to investors, and I believe with that comes a mind-shift, but then you also need an environment where the stock market does what is expected by people i.e. it is stable or it increases. In an environment of uncertainty consumers are reluctant towards investing as they are not sure, how their investment would perform. With 2014 being an election year in India, there is some uncertainty in there, I think there is an opportunity for financial planners. In 2008, in the United States, most people saw their wealth vanish by 50%, but 5 years later they are not only back on track, those who stayed in the market and through the course, are in fact ahead now. So I think there is an opportunity in places like India where you may have fear of investing, it is really the education built in to say 'actually financial planning is a long term proposition'. Q. India has recently got a self-regulated organisation (SRO) for financial advisors - under the umbrella of AMFI. What will be the challenges for the SRO? How will it strengthen the service to consumers? A. I would take a broader aspect in my response. One has to understand what is the function or the expectation of professional practitioners?And what is the function and expectation of the government? Government's focus is on what should be the minimum level of care through regulation around the product, understanding of the product and looking into who can rightly deliver the products to the client. We tend to focus is on ethical behaviour at a higher level, putting the clients' interest first and to some extent there should be fiduciary-like level of care to the client rather than suitability level of care. So when you talk about the SRO model, what regulators are doing is actually saying 'we are going to look to a professional oversight body to really police its own, set the standards and make sure the right standard have been met.' We actually see that as a very good model. My perspective is that this can lead to synergy between the regulators and the profession i.e. 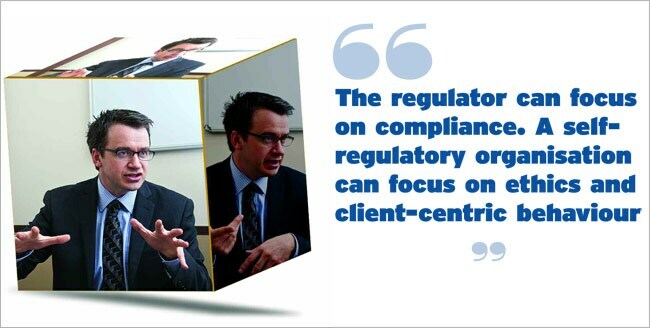 the regulator can focus on compliance and meeting regulatory requirement which is synonymous to being product focus. I think what a professionals oversight body, via SRO, can do is they can focus on competence, ethics, and client centric behaviour. Therefore, I can think the two can work very well together. Ultimately, around the world what we have seen, lots of different variation of how that can happen but certainly one of the key principles would be removing the level of duplication, removing the level of complexity. As you know that all costs gets passed on to clients so ultimately what you need is to make sure you have a system in place. Therefore, there is an opportunity for the professional and regulators to negotiate what is the most efficient way of doing the oversight. Our preference is when government says that they defer to the profession to actually develop its competency and ethics and practice. It is an opportunity for the two to function well together. Q. Many certified planners who become advisors find the practical aspects different from theory. How do you plan to address that so that they communicate better with the client? For example, they would want to know all the minute details but the truth is that clients/investors are selective in terms of revealing information. Then there is a considerable amount of convincing and soft skills required to be able to communicate with the client. A. We saw the same shortcoming as you have. When we saw the course structure we saw there was a lot of knowledge covered but at the end of the day what we are hearing is that people are getting certified and then they have to deal with the practical reality of irrational clients. So we concluded that we should develop a softskill course that can be done either before the exam or even as part of the Continuing Professional Development Course (CPDC). We at FPSB have developed a programme, and it's in two parts - one is called Developing the Plan and the other is Engaging Clients for Life. The new programmes is meant to be localised in terms of experience but based on case studies, and the expectation is there is interaction and role play. The practitioner is to figure out: How do you engage a real client? How do you extract information and like a professional, work without all the information? It is rarely that a client will come with all the information on the first meeting. There could be even cases where the clients' want and needs are at odds. I think the best way for a financial planner is first to ask questions and try to understand the needs and requirement of the clients and diagnose the solution rather than jumping on what the solutions would be, and that will takes practice. Q. Since there are so many CFPs these days, how should an investor go about deciding on whose services to use? A. I would say in the same way as you would choose any professional. At the end of the day, it is a relationship of trust. So my recommendation would be that you talk to more than one person. You should actually go and interview them to see if they are a right fit for you. And if they are good then they would also be figuring out if you are the right fit for them. Ultimately you would want to make sure they are the kind of planner who understands you and you are the kind of client they would want to work with. You should definitely not being afraid or uncomfortable to ask hard questions like: What is your qualification? What kind of clients do you work with? Are they like me or are they different from me? How much do you charge? What can I expect from you in terms of our professional relationship? Once you are in a level of comfort after getting responses to all your queries then you are in a much comfortable position to take the decision. Q. What lessons can India learn from the best global financial planning practices? A. I think the primary lesson is hope. And not in a desperate way but the fact of the matter is some of the markets have been developing financial planning as a concept and CFP Certification for 40+ years. In India, here it's been present for a little over a decade. Sometimes when you are looking for a profession off the ground, when you are looking to bring together consumer awareness, firm acceptance, rightful recognition and practitioners sense of worth, value and benefit. That takes a lot to put it all together. The important message that we will have internationally is, financial planning is working. And it is being supported in very diverse environment around the world. So the main thing here in India is a lot of what you have got in place is critical to the success of a profession. 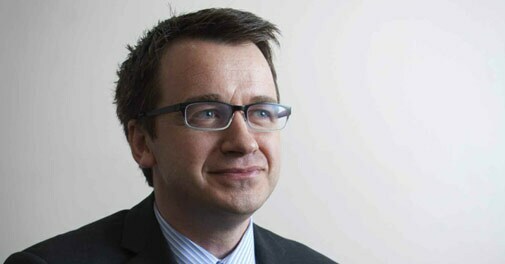 The professionals are passionate about their work and clients, organisations are trying to reorient their processes in order to support financial planning and then the regulatory environment is trying to simplify, focus on clients' needs, and focus on how to get people to trust in the market place. All of these are in good place as of now. It is just that given the size of this country the opportunity of this country is also huge. So the challenge is how do we get out to the full market and tell what is it that we are trying to do and that takes time. I think that at times it also takes all of the things to come together in the right way, so hope!